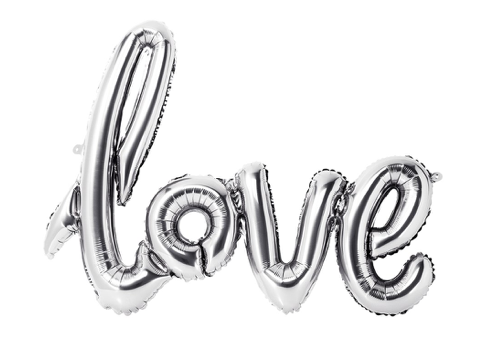 This romantic LOVE balloon is the perfect accessory for your engagement, wedding or hen party. Supplied with a pretty ribbon for hanging, it's perfect for creating an impact at your celebration with little effort! No helium needed, just very CAREFULLY blow it up using the straw provided. Also available in rose gold from the BBB shop.